London, England – April 2, 2015 – Paint and coatings manufacturers are constantly looking for innovative and cost-effective solutions to increase performance while reducing the use of volatile organic compounds (VOCs) in paint formulations. As a leading global distributor of industrial and specialty chemicals and related chemistry services, Univar is uniquely positioned to provide the latest knowledge and market intelligence that can help guide customers and suppliers through the fast-paced regulatory and market changes that influence today’s paint and coatings formulations. 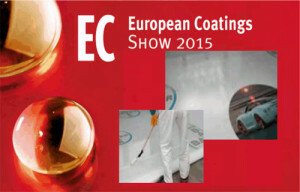 At the 2015 European Coatings Show (ECS), taking place in Nuremberg, Germany, from 21 – 23 April, Univar’s paint and coatings experts will be on hand at booth 7A-625 to provide technical insight to manufacturers looking to overcome challenges in formulating the latest paints and coatings. Univar will also be unveiling a new online search tool at ECS, called Product Picker, that can be used to scan the market for the latest products available to meet customer’s formulation requirements. With one of the most extensive chemical distribution networks in the world, and dedicated teams of technical experts, Univar is helping link supply with demand to deliver customer solutions with decorative, industrial, wood, and protective coating formulations. “Today, customers and suppliers increasingly view Univar as a focal point for knowledge and information,” said Poletti. “We not only bring our suppliers’ know-how to the marketplace, and enhance it in the process, we also interpret what we find in the marketplace and convey that to our suppliers. • In one recent case, Univar led a project to find a drier that contained no cobalt while maintaining the desired effectiveness of the drying results it produced. The team succeeded in formulating an elite cobalt-free drier (ECFD) that gives better dry whiteness than the cobalt 10% equivalent, and with no lessening of the whiteness over time. • In another project, Univar is working closely with a leading supplier to assess eco-friendly vinyl acrylic ethylene polymers against vinyl neodeconate type resins, to see how they perform in terms of colour opacity and resistance to scratches and scrub marks. Definitive results from these tests have yet to be completed, but the trend is clear: Univar will continue to explore and push the boundaries of knowledge for the benefit of it customers, society at large, and the environment. For customers looking to find innovative ingredients that provide environmental advantages over existing ingredients, without sacrificing product performance, Univar’s new online Product Picker search tool will help find the right answer. This browser-based tool enables Univar experts to immediately access a centralized database for all products that are relevant to a specific formulation. Results can be filtered based on an individual customer’s needs and, because Product Picker uses a centralized database, results will always be more up to date than searching through product literature or disparate online catalogs. “We’re looking forward to ECS and further demonstrating how our market specialisation, regulatory knowledge and formulation expertise can add value across the board, for both our customers and suppliers,” added Poletti.